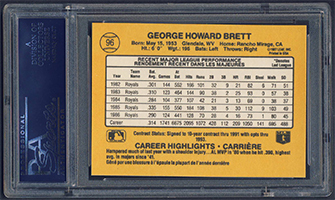 Brett was the talk of baseball in 1980 when he made a season-long run at becoming the big leagues' first .400 hitter since Ted Williams in 1941. 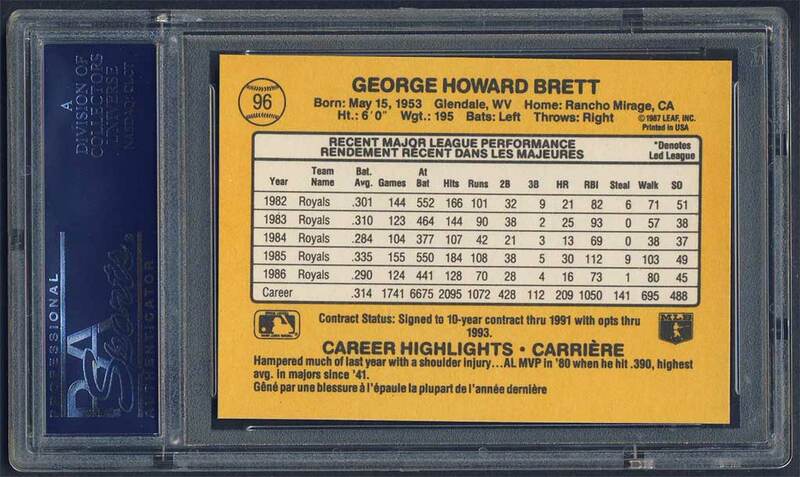 He carried a .400 average as late as Sept. 19, but ultimately finished with a .390 batting average. 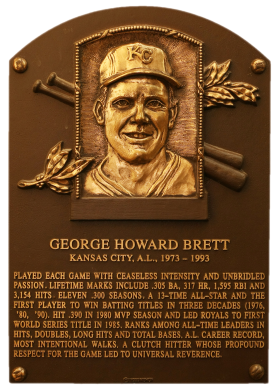 Brett won his second of three batting titles that season, and he also too home his only Most Valuable Player award. 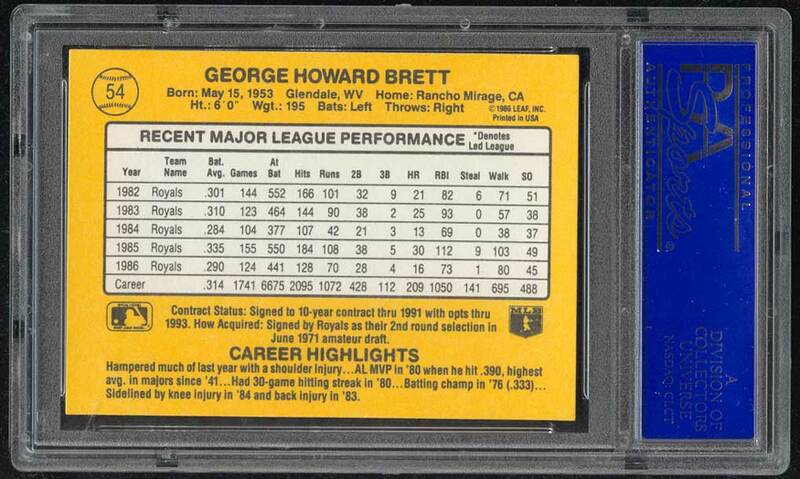 He ended his career as the first player to post 3,000 hits, 300 home runs, 600 doubles, 100 triples, 1,500 RBI and 200 stolen bases. 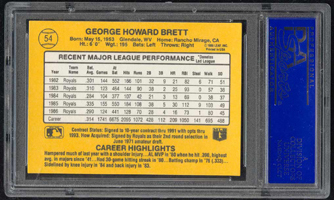 Comments: My first Brett portrait was a 1981 Spot-Bilt PSA 9 card purchased in September, 2002. 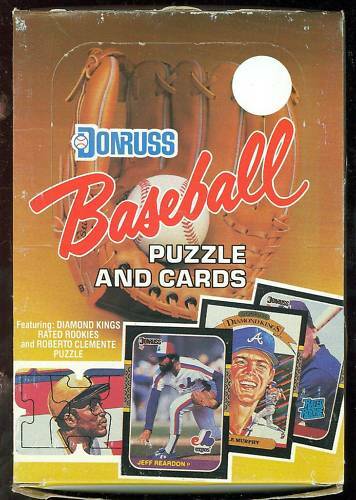 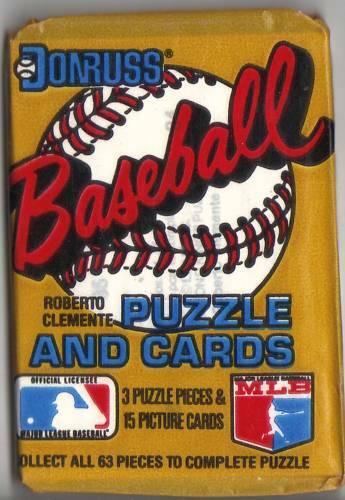 I replaced it with a PSA 9 1987 Donruss card in Nov, 2003 and upgraded to this gem in August, 2004. 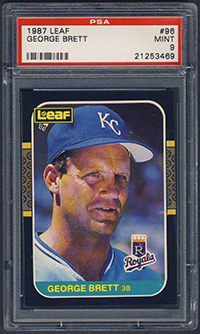 Eventually, I'd like a PSA 10.